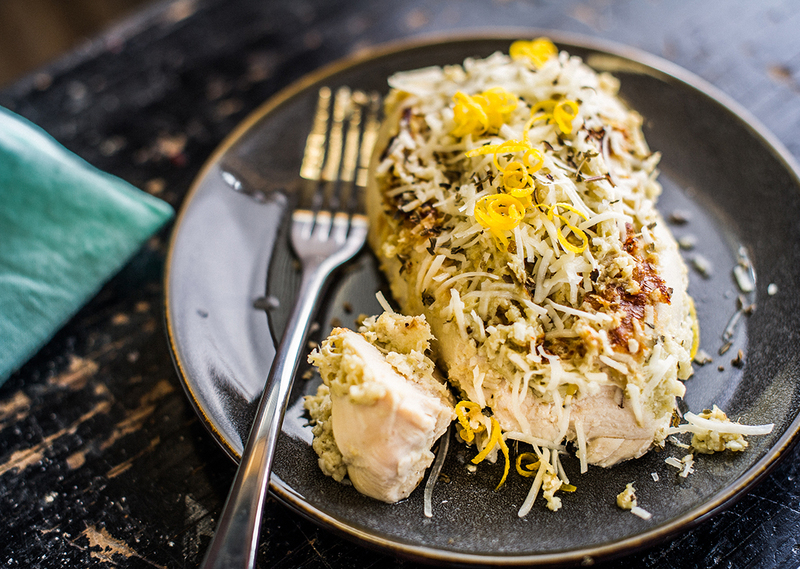 This lemony spiked chicken breast stuffed to the brim with artichoke hearts will amaze you. Amazingly fresh and flavorful as well as healthy, try this stuffed chicken breast for your next meal! Note: For Classic Plate Grills preheat grill and cook for 7 minutes. For Indoor|Outdoor Grills preheat at Setting 4 and cook for 3-4 minutes preside. Place the artichoke hearts, lemon juice, lemon zest, cheese, garlic and olive oil in a food processor and process until blended. Place the chicken on a clean cutting surface. With the tip of a sharp knife, slit each breast horizontally without cutting all the way through to create a pocket.